Next Breakfast recipes that will add a twist to your morning routine! Participants of this challenge had to prove themselves worthy to fight any battle with powerful legs. Only the true Squat Knight would be able to perform 1000 squats in minimum time. 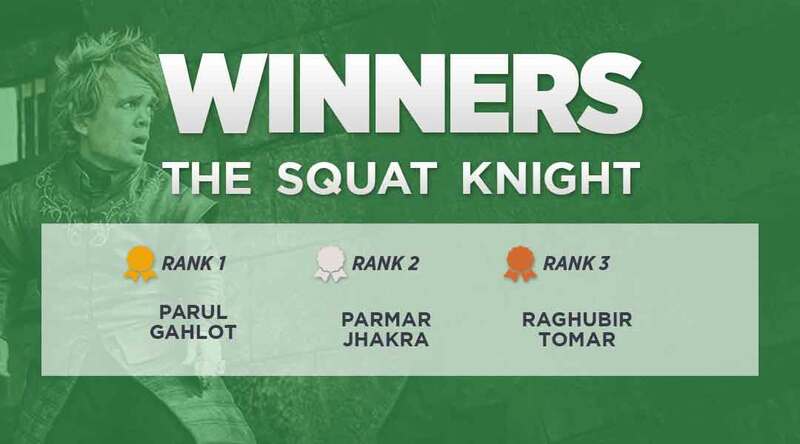 Parul Gahlot from New Delhi managed to out-do everyone with a record number of 1089 squats in the least amount of time! First runner up went to Parmar Jhakra with 1237 reps, followed by Raghubir Tomar with 1070 reps. Congrats guys! Winner gets prizes worth Rs 2000 and the two runner-ups get vouchers worth Rs 1000 each. What good is a Lord if he can’t support his kingdom? With the Pushups Lord Challenge we wanted a strong leader who could perform 1000 pushups in the least amount of time. First place went to Navratan Singh Shekhawat from Jaipur, who did 1546 reps in minimum time. 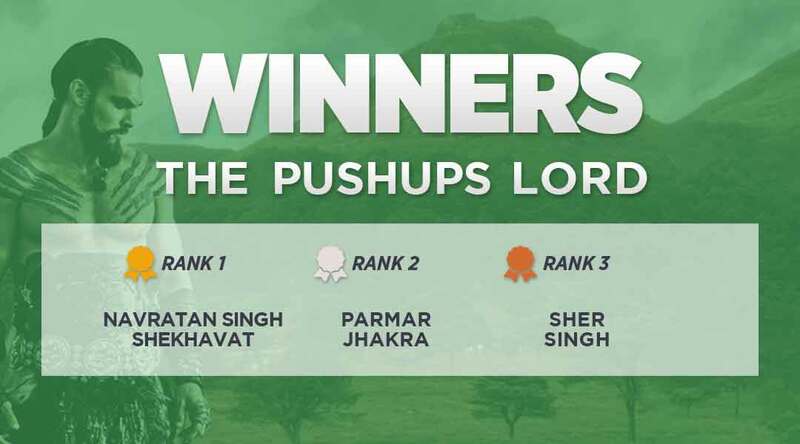 Again in Second place we had Parmar Jhakra with 1145 pushups and in Third place we had Sher Singh. The top winner goes home with vouchers worth Rs 2000 and the runner-ups win vouchers worth Rs 1000 each. A strong core can win you any battle. With the Crunches King Challenge we were looking at contenders who could perform 1000 crunches in the least amount of time. 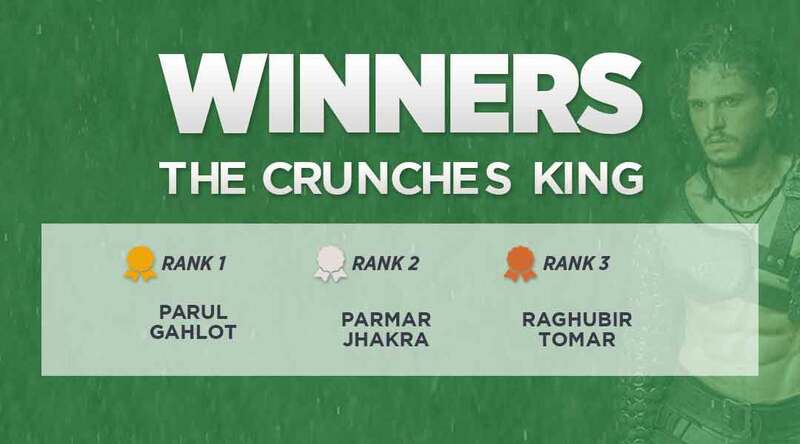 Parul Gahlot was on a winning spree and managed to be our Top winner for this challenge as well with 1122 crunches. Parmar Jhakra won the Second place with 1084 reps and in Third place we had Raghubir Tomar with 1001 reps. Great work guys! Winner gets prizes worth Rs 2000 and the two runner-ups get vouchers worth Rs 1000 each. Congratulations to all our winners! If you want to be featured in the Mobiefit Hall of Fame then stay tuned for more such amazing and exciting challenges. Give it your best shot on the Mobiefit BODY challenges and go home a winner!